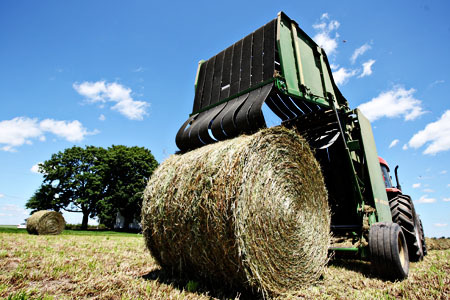 Below is a picture of the Round Baler, unloading a finished bale. Hay is picked up underneath the baler. The belts keep tension on the hay as an ever-increasing amount is rolled up, resulting in a tightly-packed round- bale of hay. Each bale weighs about 1500 lbs. and feeds at least 50 cows a day in winter. 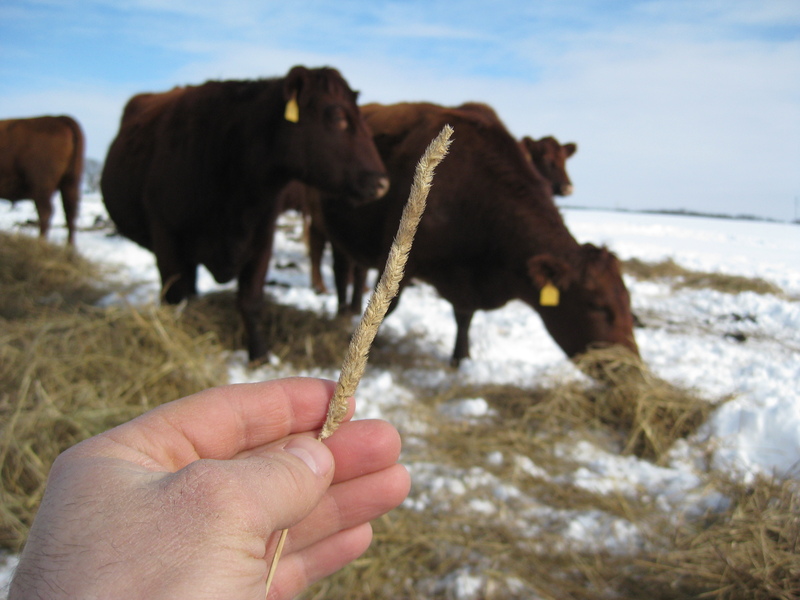 We feed the cows by unrolling the hay on the frozen ground so all the cows can eat at once. They eat their daily allotment in a few hours. 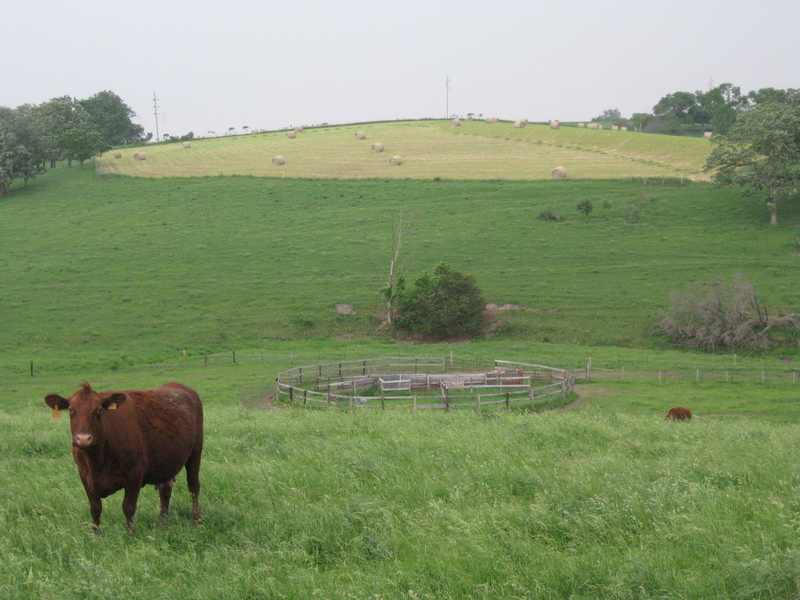 This entry was posted on Tuesday, August 2nd, 2011 at 5:36 pm and is filed under Curious cattle, Curious crops. You can follow any responses to this entry through the RSS 2.0 feed. You can leave a response, or trackback from your own site.